MinLic® IGR supplement is specially formulated to enrich the diet with essential minerals and sufficient (S)-Methoprene insect growth regulator to prevent the emergence of adult horn flies from manure of treated cattle without the added cost of supplemental protein. This unique supplement is second to none when compared to other low-moisture blocks. This block is the product of a state-of-the-art patented process that provides a unique 24-hour feeding system. MinLic® IGR is an exceptionally dense block that will give you the most for your money. MinLic® IGR supplement is fortified with Altosid® which offers the most effective and convenient way to control horn flies in beef and dairy cattle. High Mineral Fortification: This supplement is mineral and vitamin fortified which means that additional minerals do not need to be added to the diet, resulting in significant cost savings. 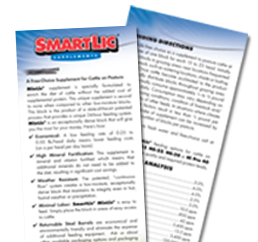 Minimal Labor: SmartLic® MinLic® IGR is easy to feed. Simply place the block in areas of easy access to cattle. When used as directed MinLic® IGR will provide sufficient (S)-methoprene insect growth regulator to prevent the emergence of adult horn flies from manure of treated cattle. Existing adult horn flies will not be affected. 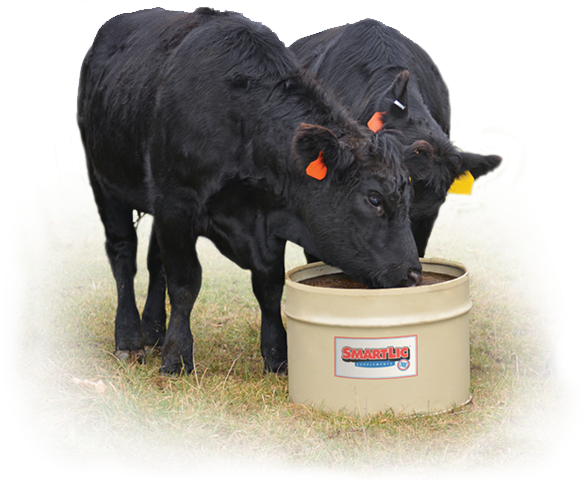 Start feeding before horn flies appear and continue use until cold weather marks the end of the horn fly season. Allow free choice to cattle. Cattle should consume an average of 0.4 ounces of MinLic® IGR per 100 lbs. of animal body weight per day, which is equivalent to 4 ounces per day for a 1,000 pound animal. Assure cattle are not starved for nutrients in MinLic® IGR by providing them prior to feeding MinLic® IGR. Offer cattle 1 block MinLic® IGR for every 15-25 head of cattle. Remove all other self-limiting nutritional supplements. Locate MinLic® IGR where cattle congregate (watering, loafing, shade areas). Replenish MinLic® IGR on a regular basis as needed. If intake of MinLic® IGR is below 0.4 ounces per 100 pounds animal body weight per day, increase the number of feeding locations and/or change location(s) to areas more frequented by cattle. If intake of MinLic® IGR is above 0.4 ounces per 100 pounds animal body weight per day, reduce the number of feeding locations and/or change location(s) to areas less frequented by cattle. 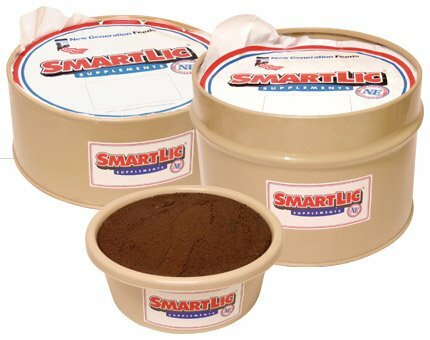 Introduction of this product after adult horn fly infestation is established will require treatment of cattle. ALTOSID® Insect Growth Regulator is a registered trademark of Wellmark International. Made in U.S.A.